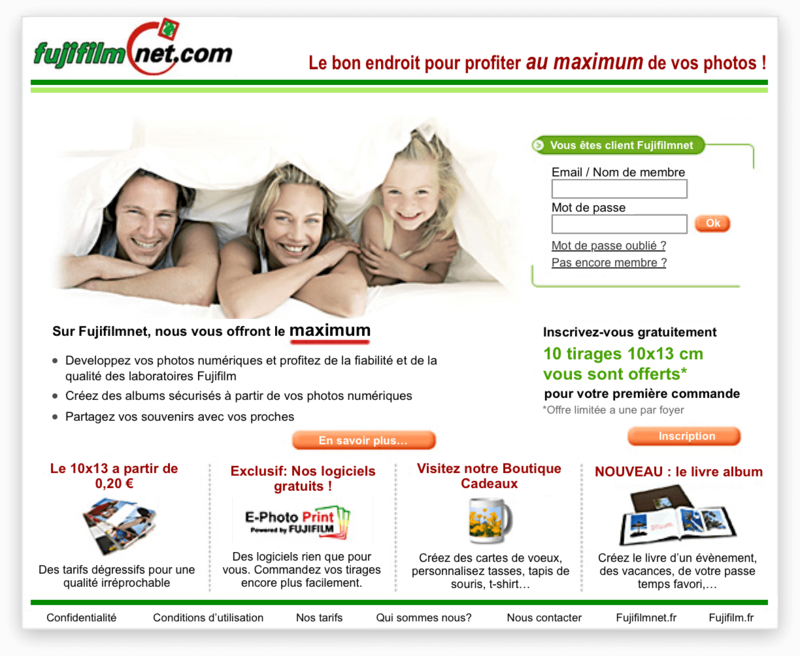 Fujifilmnet was the main online photo developing, printing, and sharing service of Fujifilm France, Switzerland, and Sweden. 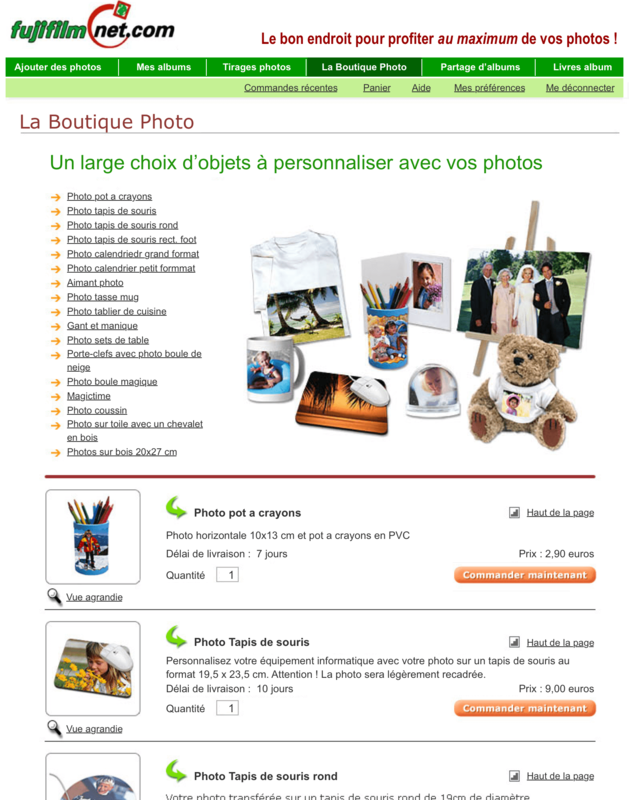 The site was customized for multiple European Fujifilm distributors each having its own business rules, product catalog and delivery options. My role was to restructure and redesign the user interface of the site in order to improve the overall user experience and to develop a modular design that could adapt and grow as new features were added over time. 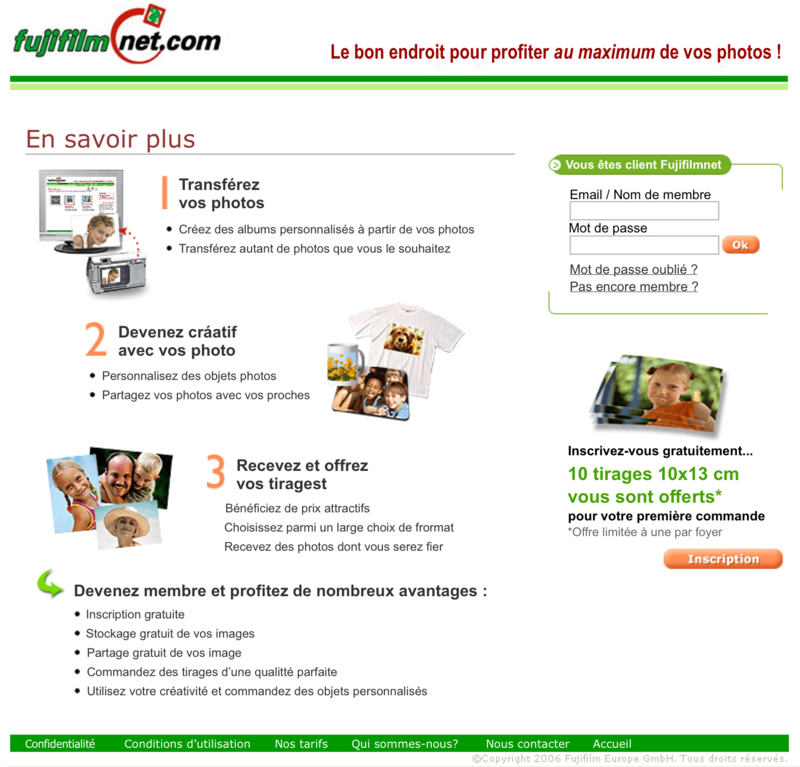 Although the market for digital cameras was booming, the fujifilmnet website wasn’t experiencing any significant increase in prints and photo gifts orders, or in new user registrations. 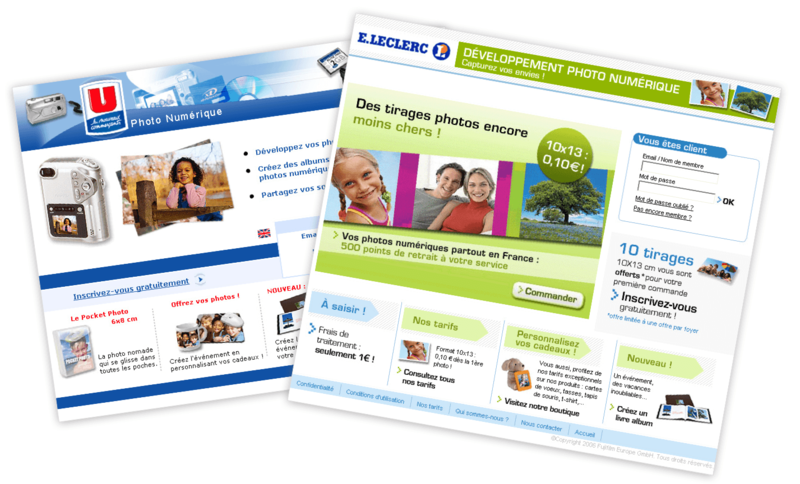 Back then the site had important usability defects such as slow performance and a complex and inconsistent user interface. 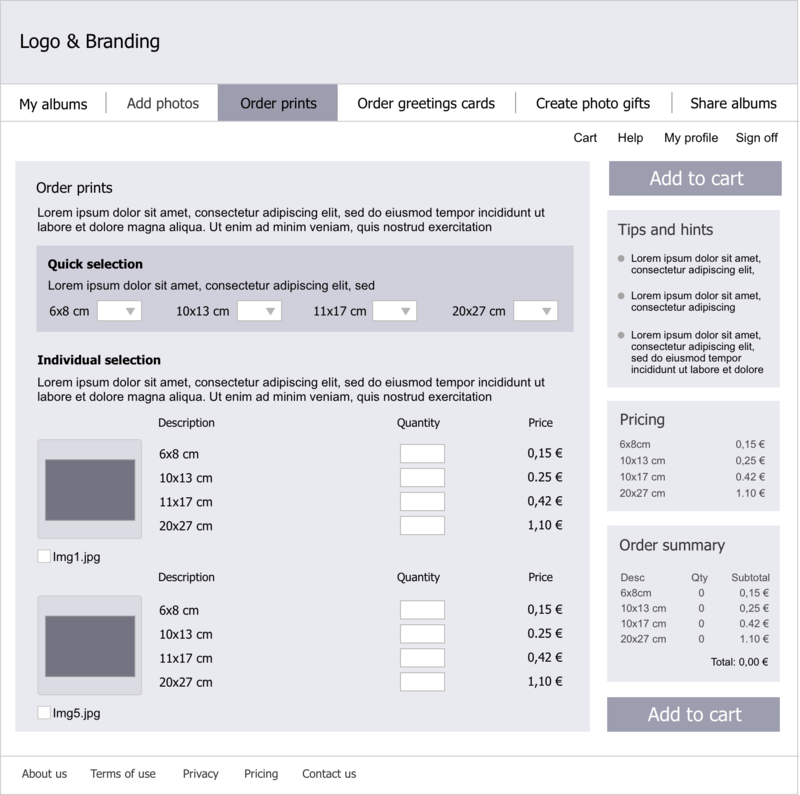 For example, the list of products offered could only be viewed after registering or signing in. 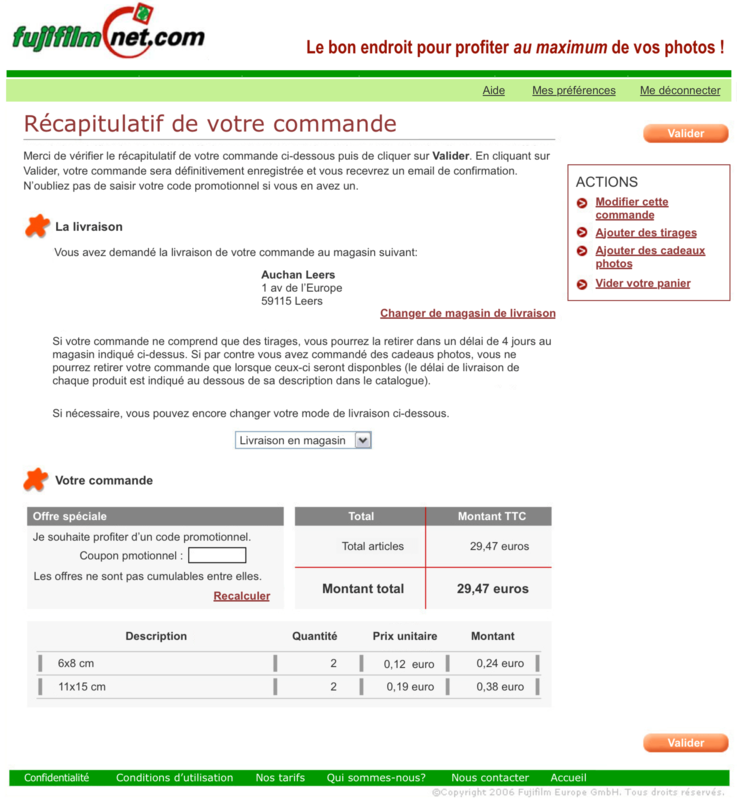 I first conducted a competitive analysis of similar websites already existing in France to understand the kind of services people were using and to identify best practices. Following several brainstorming sessions with the team, I started to sketch the site structure and proposed to build it in the following way: While a free access area promoted the products and services offered on Fujifilmnet, and invited users to sign up, the password-protected user account was centered around the six core flows, photos upload, photo albums, prints ordering, photo gifts, greeting cards, and photo sharing. 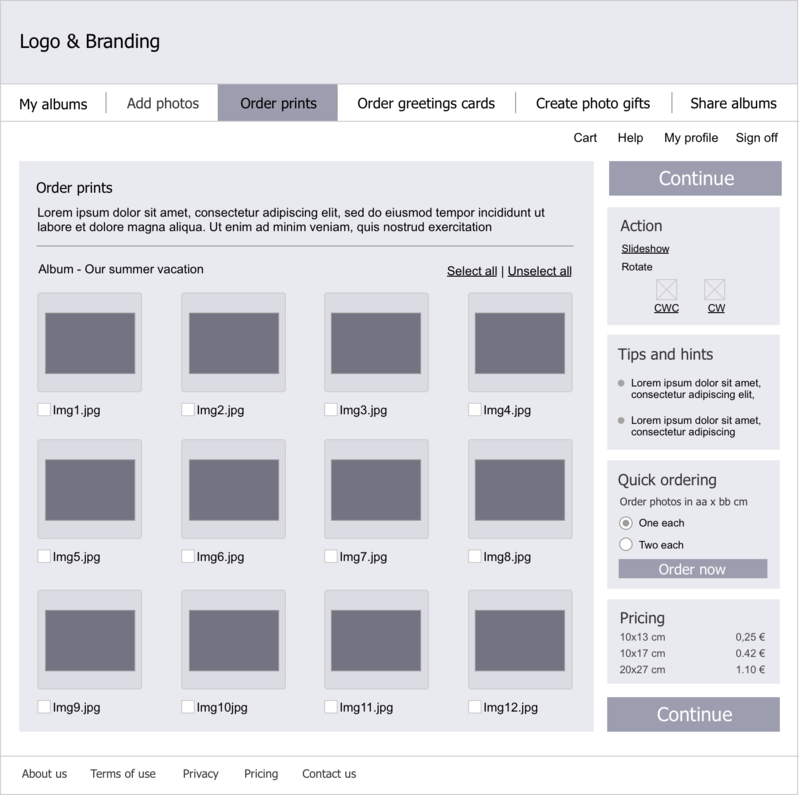 These six flows built the main navigation menu and were accessible from all the pages of the site. 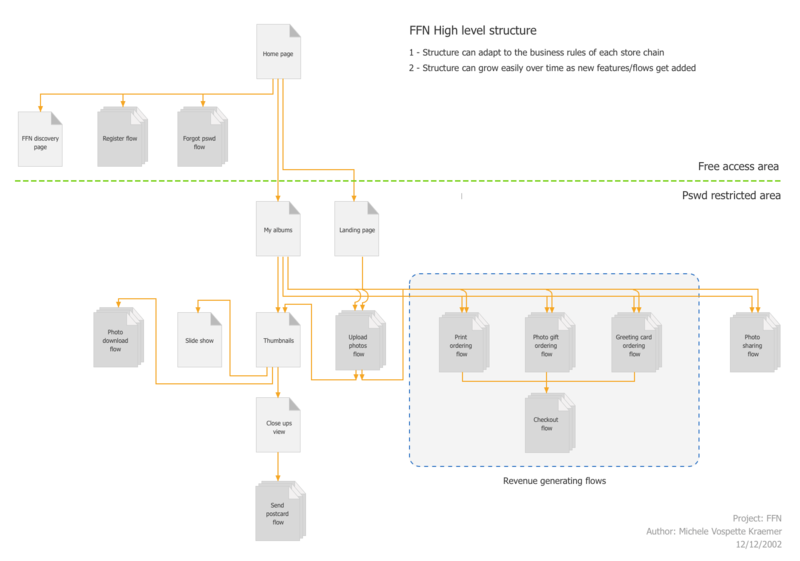 This modular structure could support the needs of Fujifilm distributors since it allowed for removing or the addition of some services without disrupting the general UI of the site. 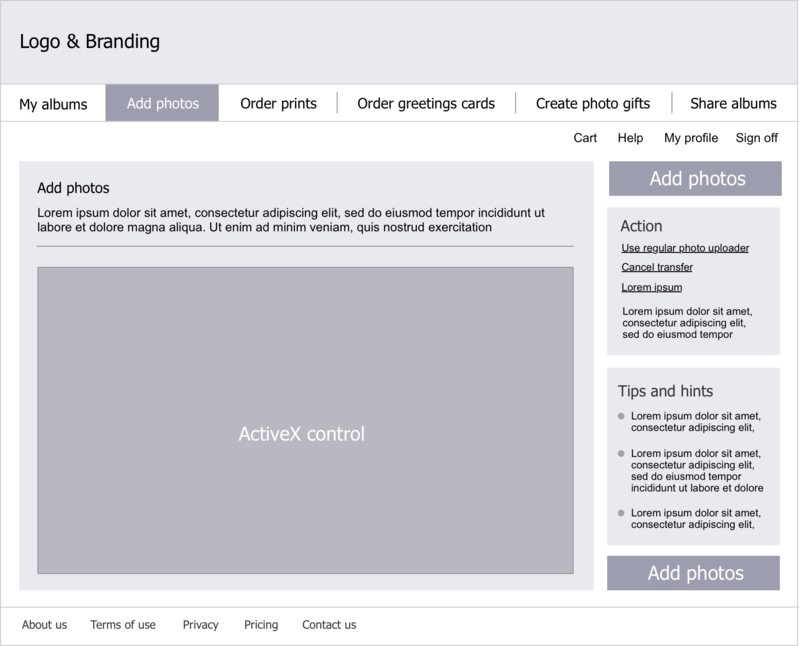 Once the information architecture was adopted I created wireframes, mockups, and crafted the content as well as the graphics. I selected a color palette that gave a fresh and inviting look and that reenforced Fujifilm’s branding. 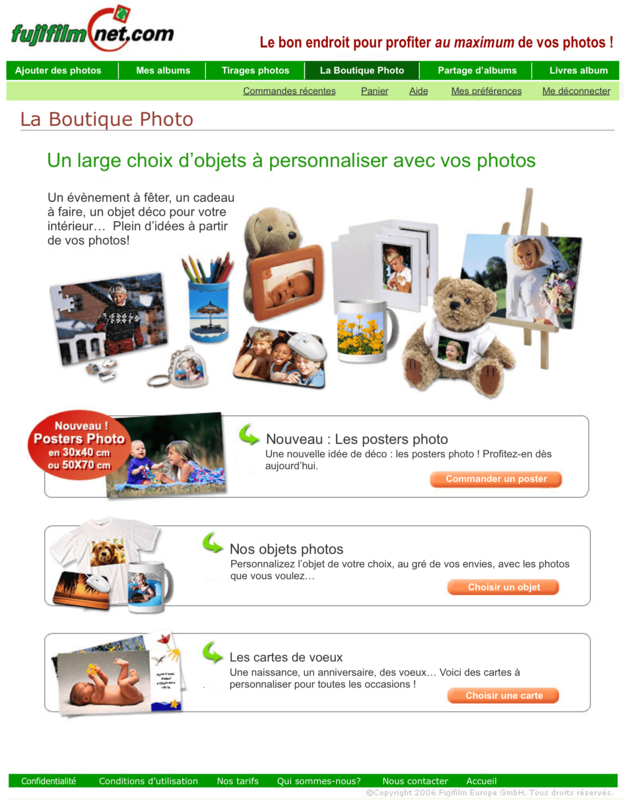 Finally, I customized the site for 18 Fujifilm distributors in France using custom stylesheets and graphics. 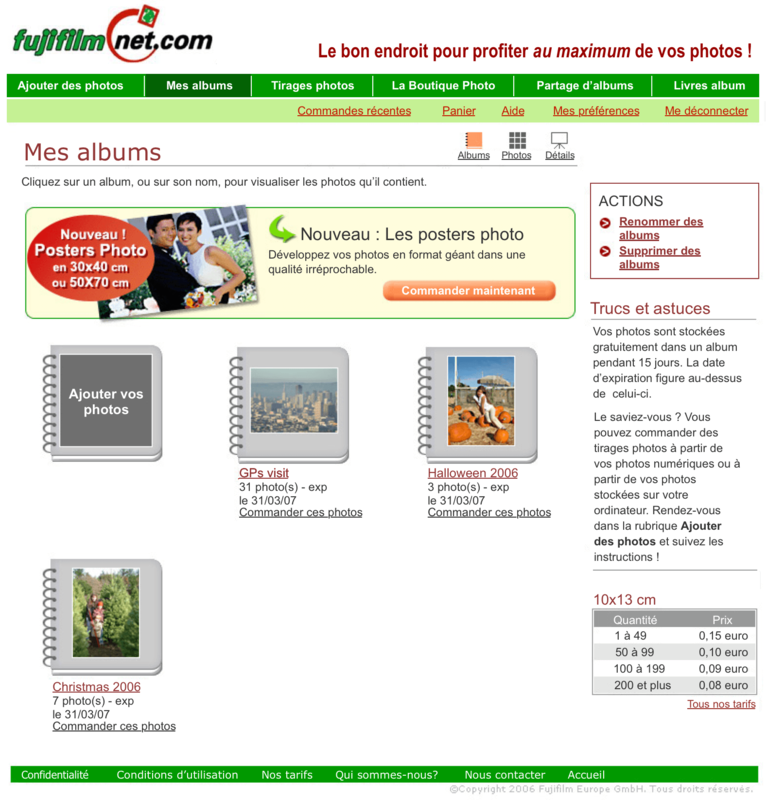 The new version of Fujifilmnet was released in October 2005, and within 2 years the number of prints issued from Fujifilmnet increased by around 170%. 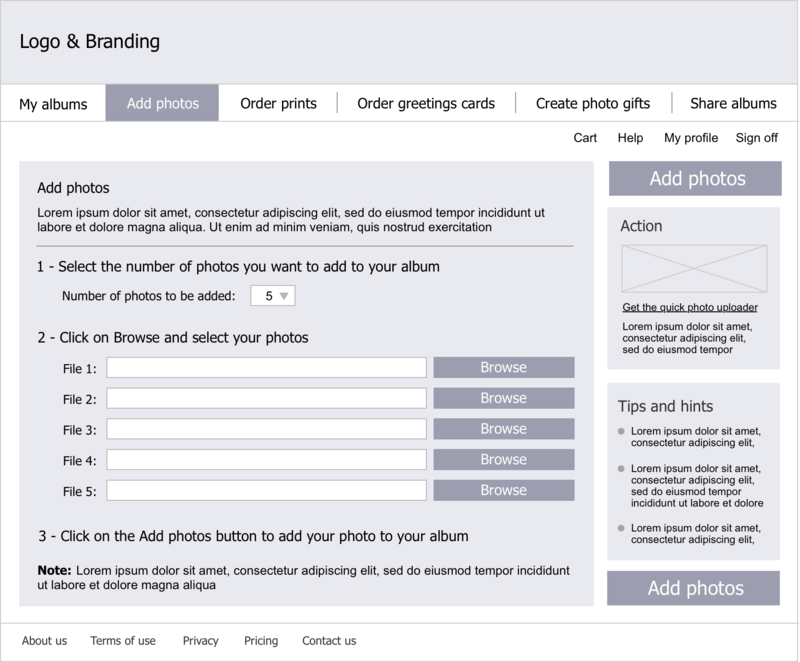 The next year I redesigned some sections of the site such as the photo boutique or My album section. 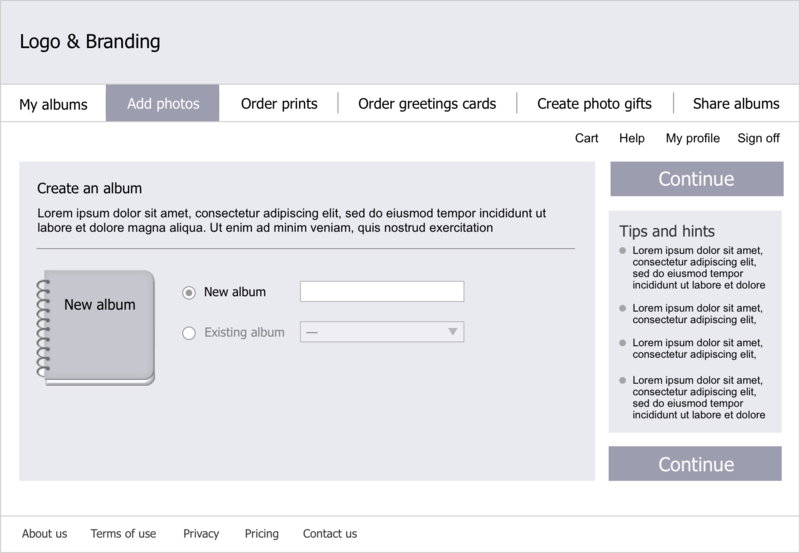 I also developed some xml/xsl templates for new pages such as a the photo book and the new pricing page.